Gifts for Remote Controlled Car Enthusiasts - RC Accessories. RC cars have always been a popular hobby in the UK but they are currently experiencing unprecedented levels of success. The range and quality of accessories is bigger and better than ever before. RC car enthusiasts can never have enough rechargeable batteries. There are lots of different types so you will need to sneak a look at which type is needed before buying. Write down the details and contact a supplier of radio controlled cars such as www.acmeracing.co.uk who will be able to supply exactly what you need. All those rechargeable batteries will need some matching chargers. Again, there are different sorts out there, some are universal (will charge nearly all batteries) and others are designed for specific batteries for specific radio controlled cars. Building and maintaining RC cars requires many specialist tools and gadgets which also make great gifts for RC fans. It may well be difficult to ascertain which tools the RC enthusiast already has or which kind of tool they need so it may best not to buy tools as a surprise gift. Tool boxes and cases are a much easier option and come in a range of designs, styles and colours. Lighting sets are a great way of customising an RC car and tend also to be very affordable. They are typically LED brake and headlight sets which are available in a range of colours. RC car enthusiasts go through brake pads like nothing else. They will be specific to a model of car so you will need to do some snooping and maybe even call or email an expert supplier of radio controlled car accessories. A good carry bag is essential to the radio controlled car user. They tend to be universally suitable for all 1/8 cars. Some are just intended for the car itself while others have pockets and compartments for tools, controllers and other accessories. Some bags are compact and made of thin fabric whereas others are heavily padded and will take up more room. Again, there is a lot of choice here so it is worth taking some advice. This is the kind of accessory that only RC car fans would be aware of but it is actually considered to be vital by most enthusiasts, it is also very affordable. Drivers simply put a drop of the oil into the cylinder of their car after use which helps to protect the engine when not in use. RC controllers can take a bit of a hammering in the hands of enthusiastic drivers and need changing relatively frequently. There is a huge range of controllers out there so if you don't know that much about the world of RC cars, it is well worth getting some expert advice. AUTHOR BIO: Harry Jameson has been building (and crashing) RC cars since the late 1970s and has written several books on the subject aimed at both fellow enthusiasts and beginners alike. 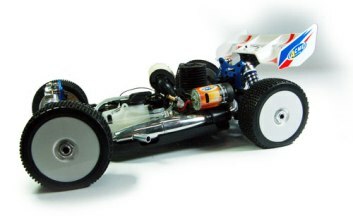 He also works with online suppliers of RC cars and accessories such as Acme R.